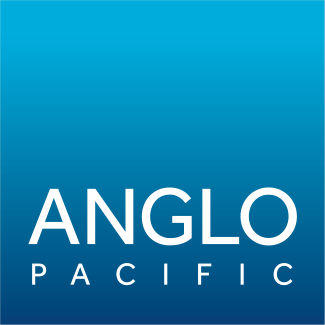 Anglo Pacific Group PLC (“Anglo Pacific”, the “Company” or the “Group”) (LSE: APF, TSX: APY), the London and Toronto listed royalty company, issues the following interim management statement for the period January 1, 2014 to May 13, 2015. Unless otherwise stated, all unaudited financial information is for the quarter ended March 31, 2015. A significant part of the Group’s strategy is to reduce dependence on Kestrel royalty income. We were pleased to see this happening in the first quarter as demonstrated by the first royalty income being earned from the Group’s two most recent royalty acquisitions, Narrabri and Maracás, taking the number of producing royalties in the portfolio to six. Combined with the Group’s existing producing royalties, overall royalty income in the first quarter was £2.3 million compared with £0.5 million in the previous quarter and £3.5 million in 2014 as a whole. We remain confident that royalty income for 2015 will be significantly higher than in 2014. As previously communicated, an important agreement was reached with Rio Tinto in 2014 to provide the Group with greater visibility over the next twelve months of the projected tonnage within the Group’s private royalty land at the Kestrel mine. The Group is increasingly confident in information provided from the mine to forecast our future royalty revenues: the actual tonnage on which our Q1 2015 royalty was based was in line with that previously forecasted by Rio Tinto during 2014. The guidance we are now receiving suggests that production and our share of that production is increasing above Rio Tinto’s previous forecasts and that our expectation of production within our land rising to approximately 90% by 2017 is well on track. The disposal of non-core assets continued in the first quarter of 2015, albeit at a slower pace, with £1.7 million in cash generated from certain equity disposals. The market value of the remaining equity portfolio at March 31, 2015 was £6.8 million. The Group had £6.5 million in cash at March 31, 2015 with US$6.0 million drawn on its revolving credit facility, leaving $24.0 million undrawn. Following approval at the 2015 AGM, the final dividend for the financial year ended December 31, 2014 of 4.00p per share will be paid on August 7, 2015 to shareholders on the Group’s share register at the close of business on June 26, 2015. The shares will be quoted ex-dividend on the London Stock Exchange on June 25, 2015 and the Toronto Stock Exchange on June 24, 2015. In the medium term, the Board is committed to a minimum annual total dividend of 8.00p per share subject to, amongst other things, the level of adjusted earnings, proceeds from the disposals of non-core assets and prospective investment opportunities. In the longer term, the Board intends to adopt a dividend policy paying dividends representing a minimum of 65% of adjusted earnings.